UMHB has everything you need to stay or become the fit and healthy person you want to be or ought to be! 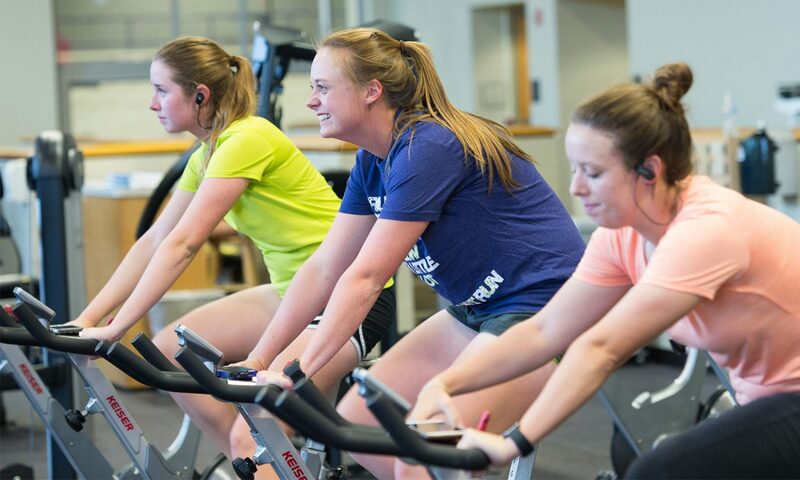 Cru-FIT Group Exercise Classes are free to all UMHB students, faculty, and staff. There is no commitment involved, and you may join in anytime. Typical classes are Cru-Crunch (abs), Cardio kickboxing or Turbo Kick, Pilates, Yoga, Spinning, Zumba, Aqua Calorie Burner, and Power Cut. Are you interested in becoming a group fitness instructor? Send inquiry to sweaver@umhb.edu.